Jones Southern Oklahoma Quail & Pheasant Hunts is a Commercial Hunting Preserve licensed by the Oklahoma Department of Wildlife Conservation. Our season runs from October thru February. Whether you are a company looking for corporate entertainment for clients or individual hunter's planning a private hunting outing with friends or family, we can provide you with a fun filled and memorable outing. Your hosts are Alan, Janet and Greg Jones, Owners of this unique upland hunting preserve, Jones Southern Oklahoma Quail and Pheasant Hunts. Be sure and check out the Gallery so you can see not only the good service that we provide for all of our hunter's, but also the rest of the family (dogs), of Jones Southern Oklahoma Hunts. Thank you to all of our past, present, and future clients that we have enjoyed and will enjoy at Jones Southern Oklahoma Hunts. Choose to hunt Quail, Pheasant, or Chukar, or a combination of Quail, Pheasant, and Chukar on our field hunts that consist of 400 acres of exceptional scenery and prime hunting area. Field hunts can be either performed by using pointing dogs or utilizing flush dogs. Dogs and guides provided or bring your own dogs. European Pheasant style shoots for cooperate or individuals are offered if field hunts are not desired. Costly licenses are not required as a $5.00 permit can be used as a substitute for hunters without hunting licenses. If your looking for Texas Quail and Pheasant Hunting or Oklahoma Quail and Pheasant Hunting, we can provide the hunt here at the border of Southern Oklahoma & Northern Texas or at your location if desired and your area meets all the criteria for hunting. WE SPECIALIZE IN UPLAND GAME ONLY! THEREFORE WE PUT ALL OF OUR ENERGY INTO QUAIL, PHEASANT, AND CHUKAR HUNTING TO MAKE YOUR VISIT MEMORABLE! Hunt behind some of the best gun dogs offered, we use a combination of Pointer's, Setters, and Chesapeake Bay Retrievers. We have experienced guides to assure you of a successful and safe hunt. Jones Southern Oklahoma Hunts always have a safety briefing with all hunter's before every hunt, safety is always the most important factor with us. 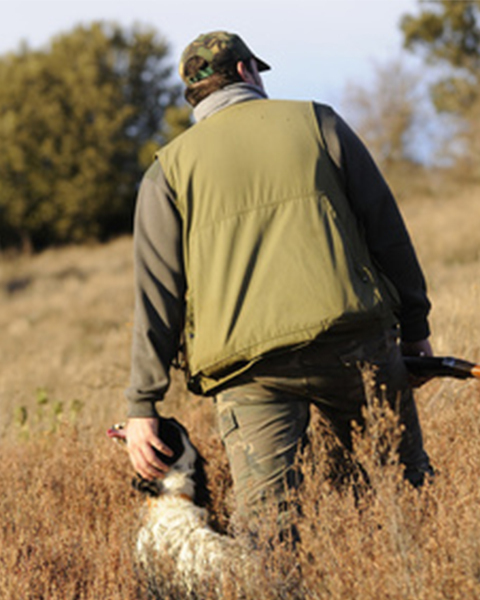 Jones Hunting Quail has over 40 years of experience in hunting upland game. Let us provide the work and upkeep of obedient dogs and excellent flying birds. We want you to enjoy your hunt. We show you the birds and all you have to do is harvest the game. There are no daily bag limits. Preserve will release the number of birds you desire. While you are eating a good meal and enjoying conversation with friends about the hunt, your harvest will be cleaned and packaged for your coolers. All packages include dogs, guide, meal, and birds dressed and packaged for your cooler. Shotguns and Ammunition available for an additional fee. Lodging arrangements available upon request.